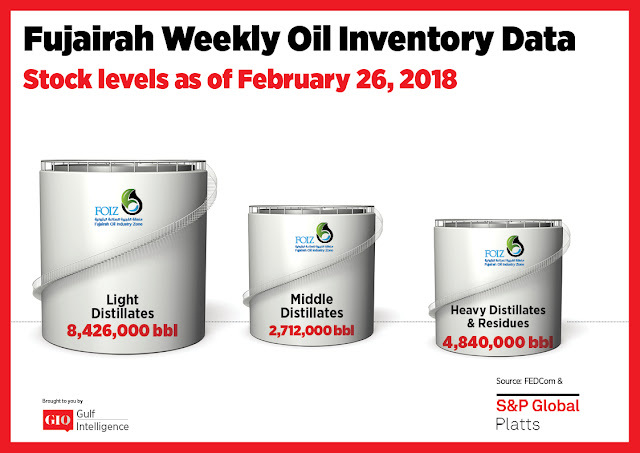 Total oil product stocks in Fujairah were 15.978 million barrels as of Monday, down 4.7% on the week, after heavy distillates fell to a new record low, according to latest data from the Fujairah Energy Data Committee, or FEDCom. 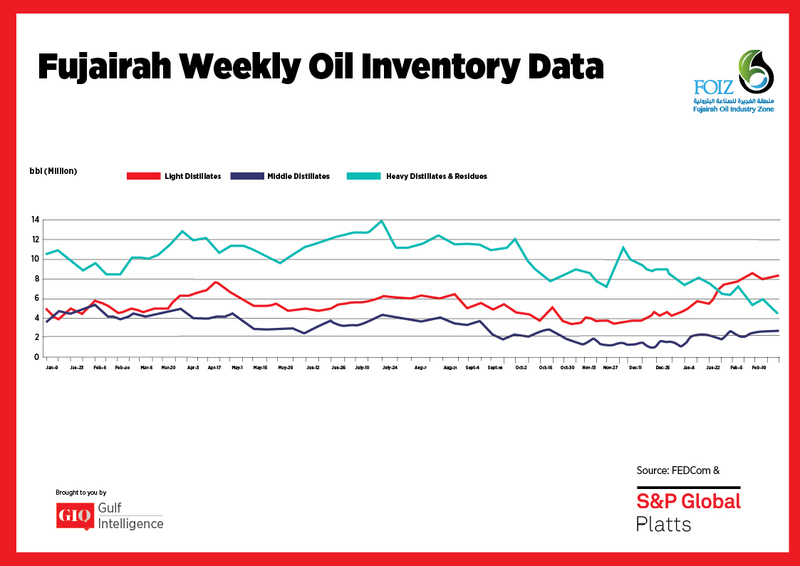 Fujairah MOC process in recent days, S&P Global Platts Analytics said in a report. "The market is quite slow," a Fujairah-based trader said. Another said: "Demand is low and discussions are quiet now." The premium for ex-wharf 380 CST bunker over cargoes fell to a six-week low of $5.84/mt Tuesday, the report said. On the other hand, stocks of light distillates rose 2.7% on the week to 8.426 million barrels. Stock levels so far this year have averaged 34% higher than a year ago. 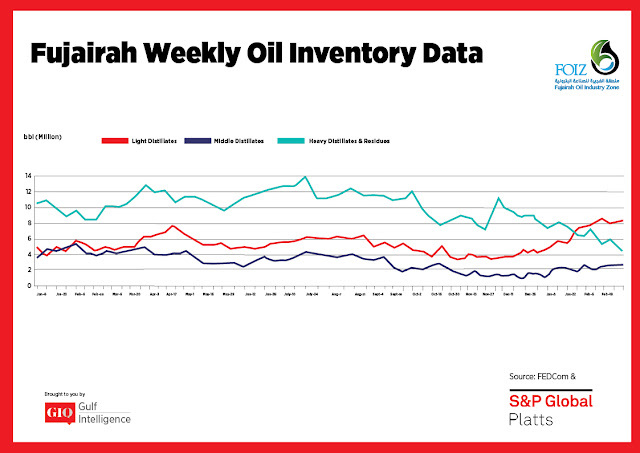 In the Middle East, gasoline market sentiment remained relatively unchanged due to tepid demand and ample supplies from the Mediterranean, the report said. Stocks of middle distillates rose 8% or 201,000 barrels to 2.712 million barrels. In the Arab Gulf, demand was stable while supply was capped by scheduled maintenance at refineries, a source said. The cold weather front hitting parts of northern Europe could begin to draw some additional barrels towards the west, although a gasoil EFS value of minus $4.32/mt Tuesday remains unfavorable for arbitrage. In spot supply, Kuwait's KPC has sold 40,000 mt of 500 ppm gasoil for March 10-11 at a premium of 40 cents/b to the Mean of Platts Arab Gulf FOB Gasoil assessments.